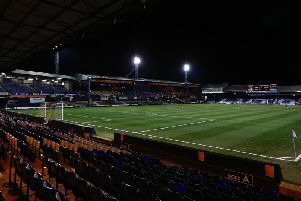 Luton Town will be joined by Yeovil Town, Leyton Orient, Notts County and Crawley Town in League Two next season after the League One campaign finished yesterday. With Yeovil already down before the weekend’s action, six other teams faced relegation, with the final standings going right the wire. In the end, Orient’s 2-2 draw at Swindon, saw them finish second bottom, while Notts County lost 3-1 at Gillingham and Crawley were beaten 2-1 at home by Coventry City. Meanwhile, Hatters will also play either Bristol Rovers or Grimsby Town next term after the pair reached the Conference play-off final by seeing off Forest Green and Eastleigh in the semi-finals respectively.